Kupipakva Rasayana was introduced in Ayurvedic therapeutics way back in thirteenth century. a Kupia stands for fireproof bottles, a Pakvaa stands for prepared by using fire, a Rasaa stands for mercury & a Ayanaa stands for abode. 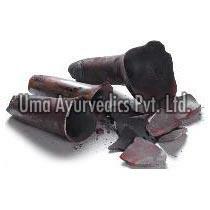 So Kupipakva Rasayanas are in fact the special therapeutic preparations made by amalgamating different organic, inorganic, metallic or non- metallic substances with detoxified and purified mercury in specially designed fireproof bottles and special type of the furnaces called a balukayantraa. The therapeutic agents prepared by this technique and having Sulphur as one of its ingredients are known as Sagandha Kupipakva Rasayana & others that do not have Sulphur as one of its ingredients are called as Nirgandha Kupipakva Rasayana. The tasteless therapeutics agents prepared by this process are known to be best therapeutic agents for curing various diseases including even the so called incurable diseases. 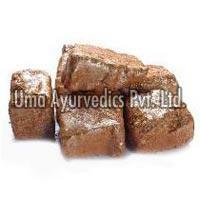 They are second to none among Ayurvedic preparations in terms of their efficacy and safety. The preparation of the Kupipakva Rasayana is a hazardous and tedious task and needs great deal of the practical knowledge in chemistry and pyrometry. A simple mistake may lead to explosions resulting in the grave consequences in terms of the loss of property and personnel. We UMA Ayurvedics Pvt. Ltd. with our unrelenting efforts and able guidance of the experts in this particular field for over seven decades have mastered this art, which has enabled us to be a proud Manufacturer of the qualitatively authentic, therapeutically effective and safe Kupipakva Rasayanas for a number of renowned Ayurvedic practitioners. We have achieved specialization in offering Makardwaj, Ras Sindur and Swarnavang.